State Representatives Lee Chatfield and Tristan Cole joined the co-op at a July 26th ribbon cutting ceremony to congratulate GLE on connecting the rural counties. Representatives from local government, regional organizations, and educational institutions also attended the celebration. Subscription fees include a Wi-Fi router. Telephone services will also be available for $34.99 per month, and residents who subscribe to both telephone and Internet services will receive $5 off monthly costs. More details are available online. Truestream is currently offering services only to residential members of GLE, but would like to extend Internet services to businesses as well. Truestream may also consider serving non-members who are located along the fiber route, but the priority is to connect co-op members. In addition to improving the quality of life for rural communities, GLE says the fiber network will enable the co-op to better monitor the electric grid and quickly respond to outages. Other electric co-ops, like Ouachita Electric Cooperative in Arkansas and Kit Carson Electric Cooperative in New Mexico, have also used their fiber networks for smart grid technology. With the upgraded technology, even members who choose not to subscribe to Trustream Internet access will benefit with better electric service. To minimize financial risk, the co-op will base the decision of where to expand after the pilot is completed largely on community demand. Members can express interest by pre-registering on the Truestream site. To increase the chances that the fiber network will rollout in their community next, residents can sign up as “champions” and promote Truestream to their friends and neighbors. To learn more about co-ops connecting rural communities across the country, visit our Rural Cooperatives page. 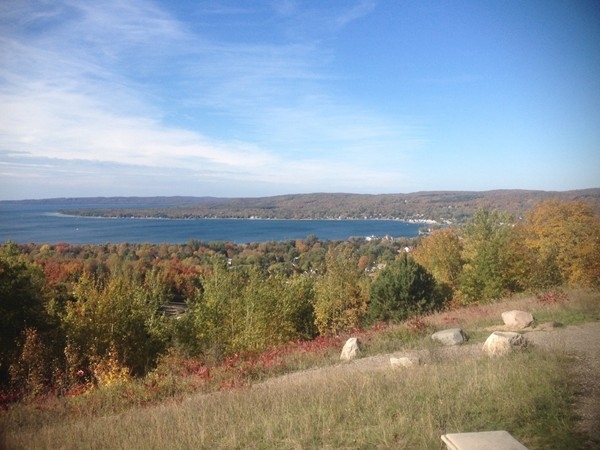 Image of Avalanche Mountain in Charlevoix County courtesy of Remax of Michigan.